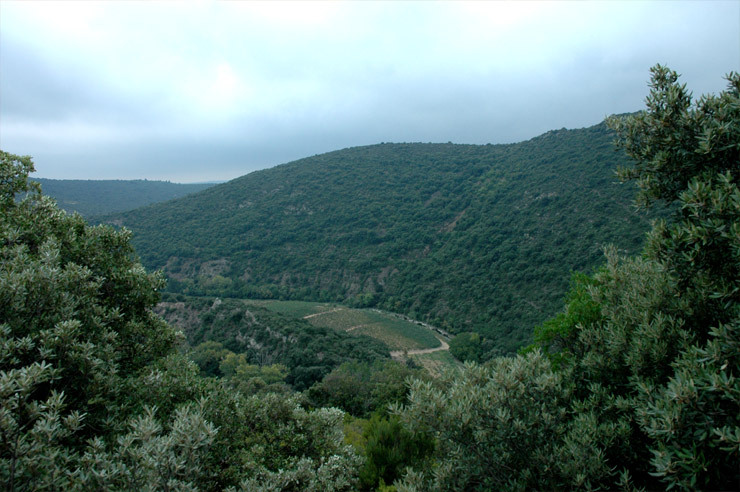 The origins of the particular landscape of the Causses are the plateaus of hard limestone situated to the north of the Minervois. 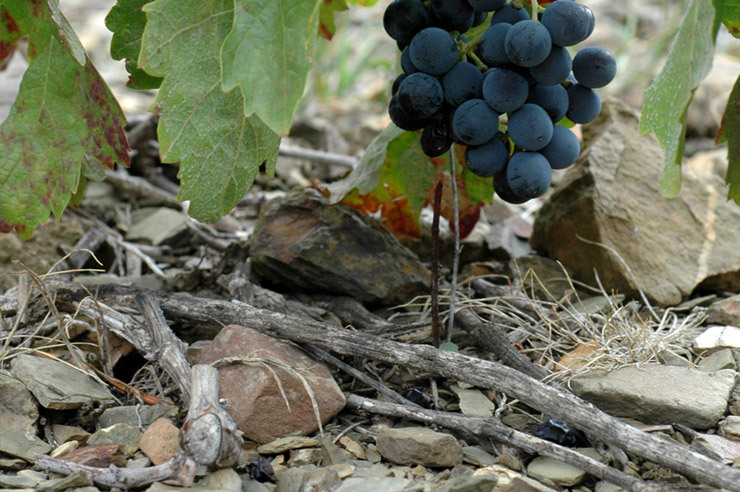 In this terroir, usually colonised by a typically Mediterranean natural vegetation, but accompanied by some more mountainous plant varieties, the vine can be found at altitudes of 200 to 300m, sometimes a pioneer species. 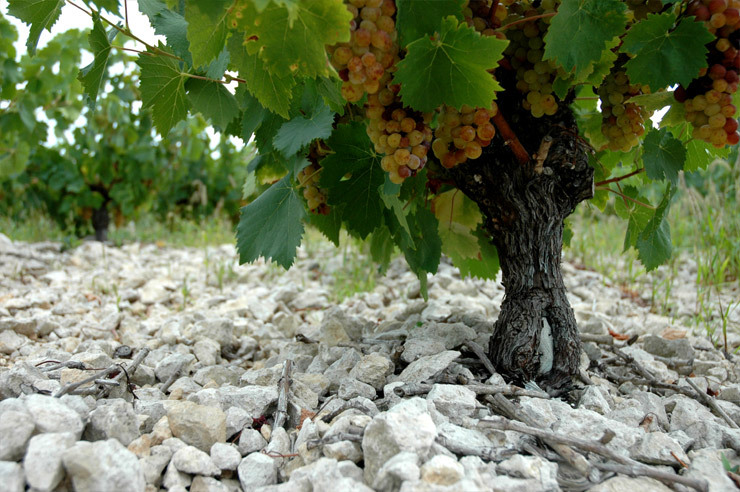 Under a very thin covering of surface soil, red from the clay created due to decalcification, and usually covered in dazzlingly white stones, the weather-fractured limestone allows the vine to grow its roots deep in the cracks. 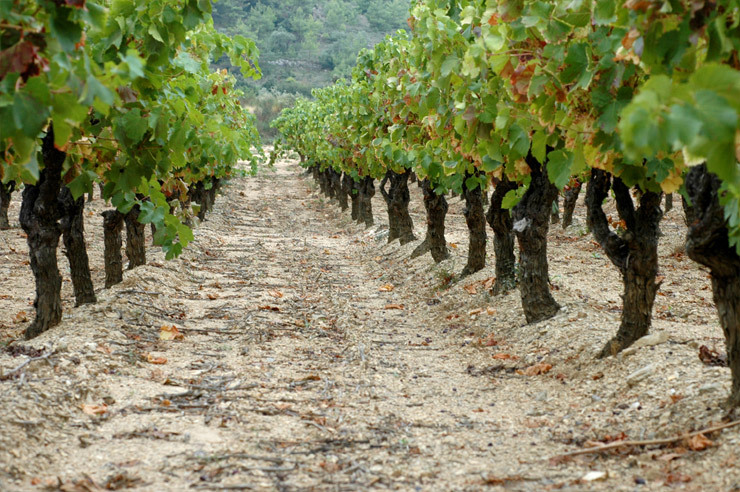 This colonisation of the ground guarantees a water supply, which, although rationed, allows the vine to escape the summer heat. 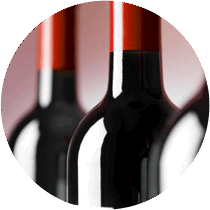 Also, the stony cover of the surface ensures the reverberation of the rays of sun favourable to the ripening of the grapes. 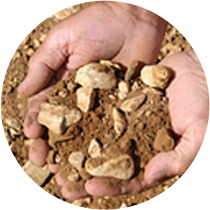 Sandstone soils are the most typical of the Minervois appellation. 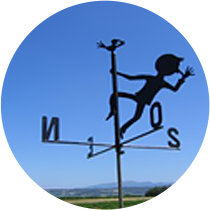 They are to be found all along the piedmont of the Causses, from east to west, from the Mourels to the Balconies of the Aude. 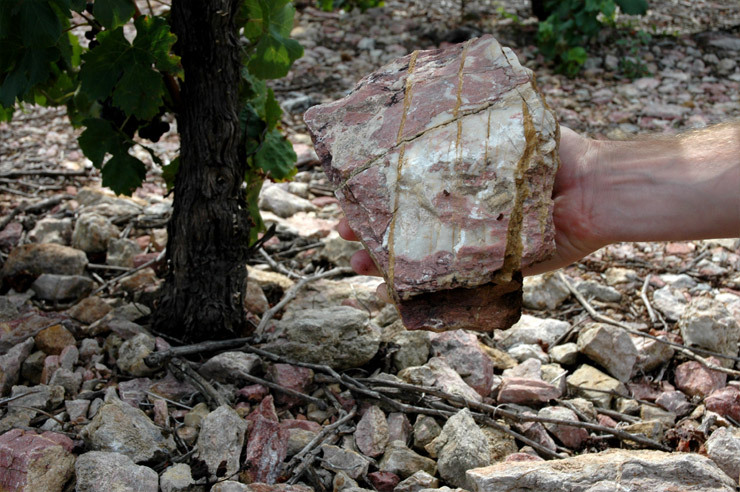 This terroir, also called ‘terroir on sandstony marl’, presents very variable soil depths according to the level at which the vein of sandstone is located. 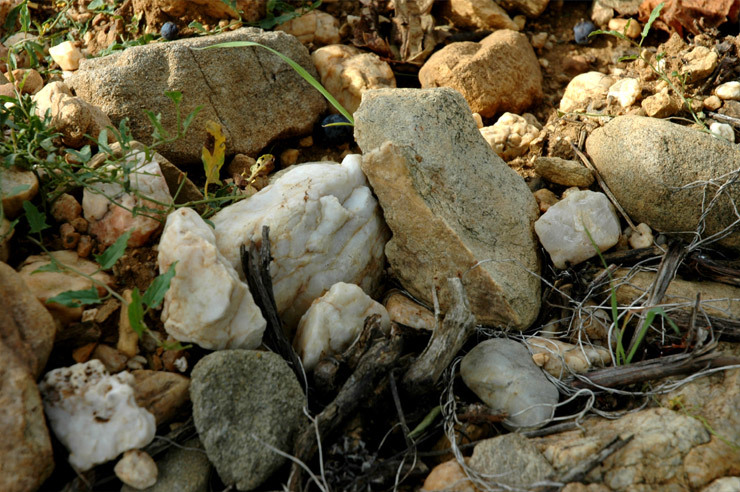 One can find almost skeletal soil, usually at the summits, or around the sandstone hills in a high position (covered with ‘Alep pines’, also called ‘Mourels’), and medium-depth soil at the bottom of the slope. 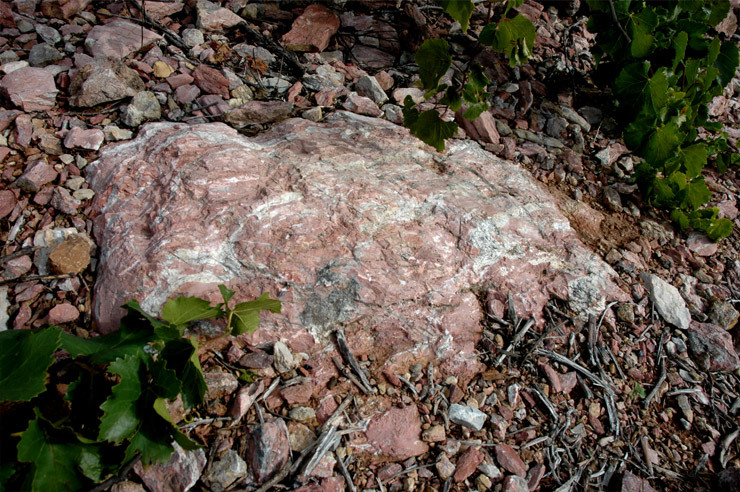 This soil is alkaline (pH higher than 8) because of its sandstone compositon (clay and limestone in variable proportions). 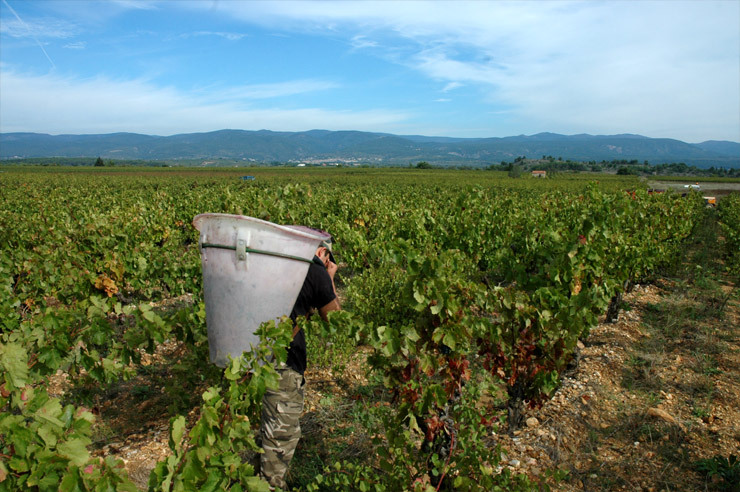 The climatic condtions are extreme, and the depth of the arable soil limited, making the management of the water by the vine all the more delicate. 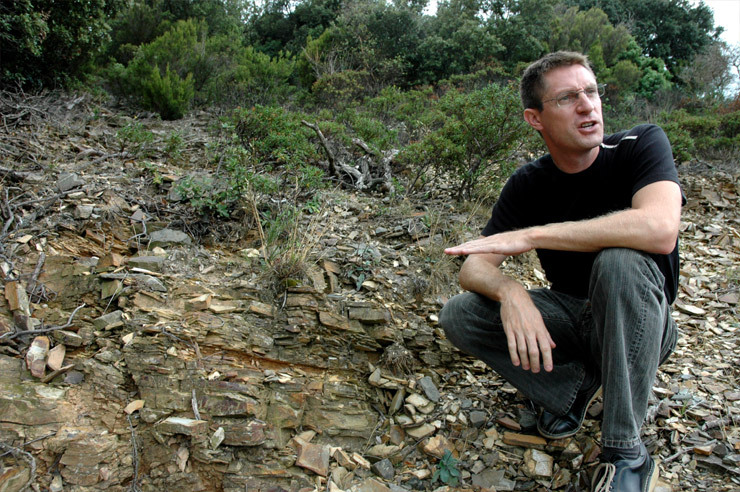 The other major terroir of the central zone of the Minervois is held up by stony terraces: the legacy of the streams in the region at the time of the great river floods of the quaternary era. 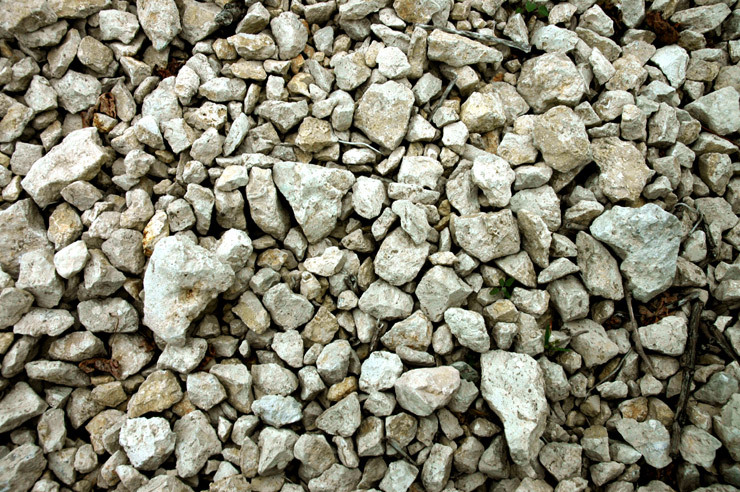 These ground-types, easily identifiable by their flat topography, present characteristics linked to their high concentration of large elements (worn pebbles). 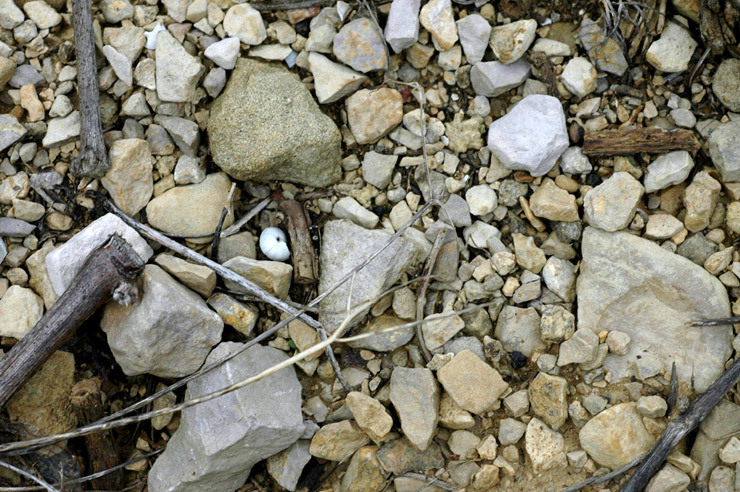 The ground-type here often act as a filter, which allows: the deep growth of roots (except in the cases of ‘encrustation’); the limitation of evaporation in hot weather because of the ‘mulch’ effect of the pebbles (the effect of protection of the ground surface); and the accumulation of heat during the day accompanying the returning night-time heat at night. 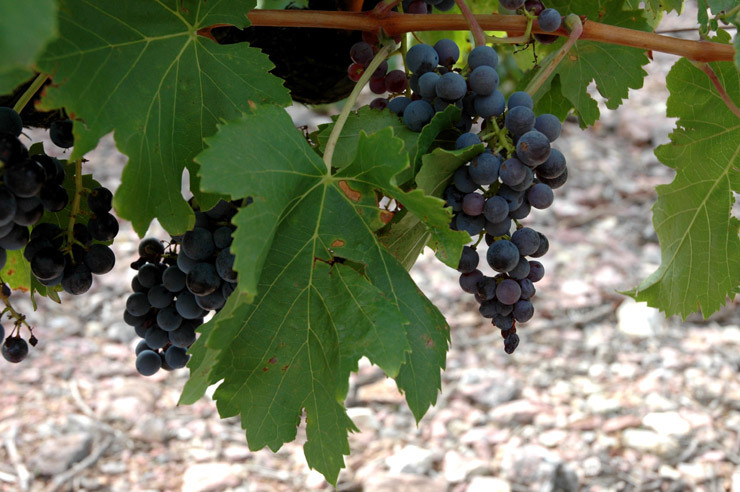 These factors affect the microclimate and the ripening of the fruit. 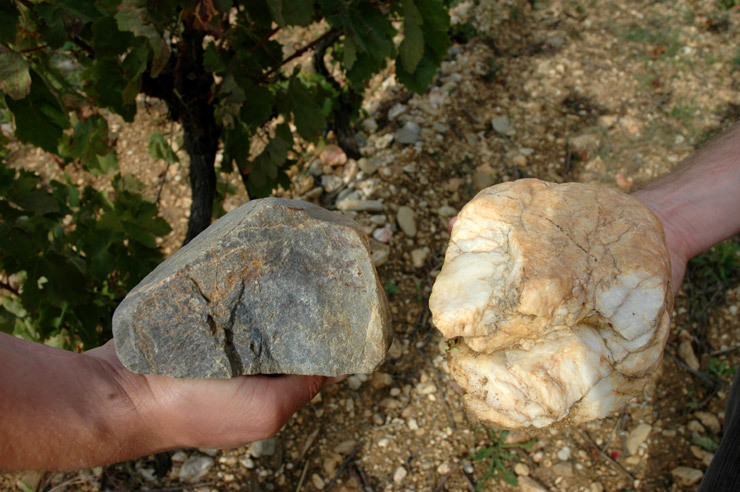 These soil types, found in the zones of altitude at the northern frontier of the Minervois, set back from the Causse, constitute a fairly rare and very specific terroir. 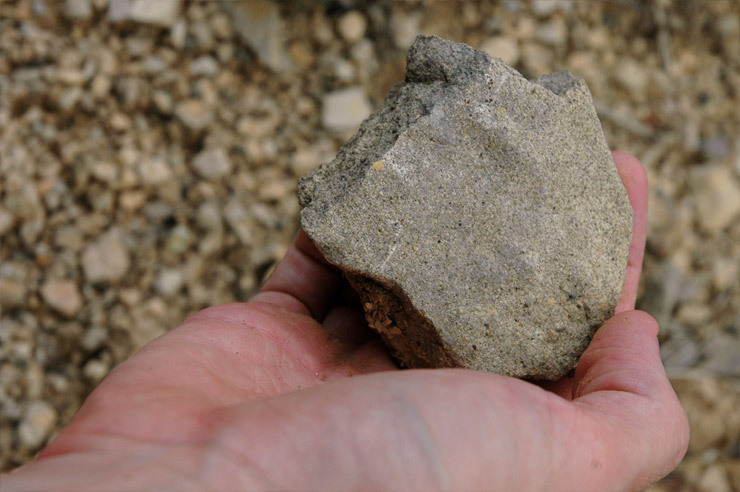 They are effectively brown acidic soils (pH lower than 5.5) with a very elaborate structure (made up of little flakes, like slates), which compensates for their filtering effect by allowing the roots to reach very deeply in order to find water. 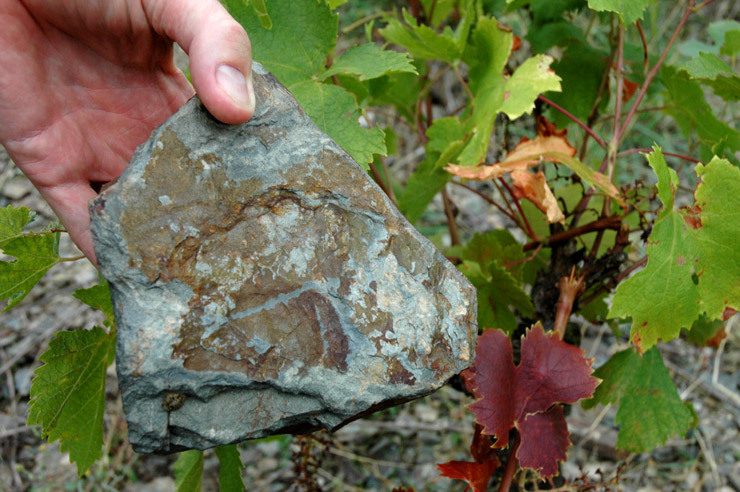 Schist is also a rock, which, because of its dark colour, absorbs the daytime heat well, to return it at night, thus participating in the optimal ripening of the grapes in one of the coolest zones of the Minervois, because of its altitude. 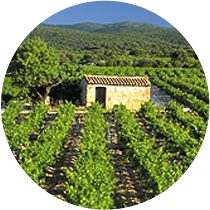 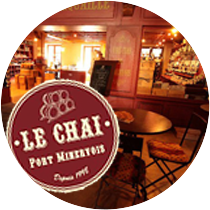 The red marble of Caunes-Minervois that has given rise to a miltitude of anecdotes and cultural symbols has also seen some very rare vines flourish. 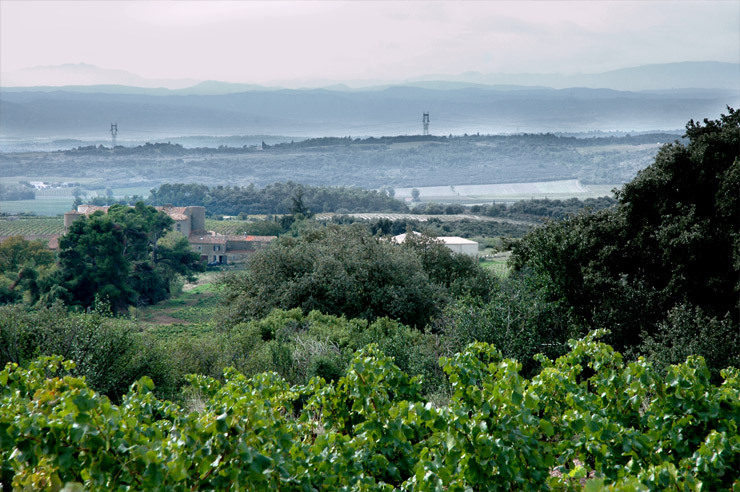 A part of this land was secured by Louis XIV for his exclusive use. 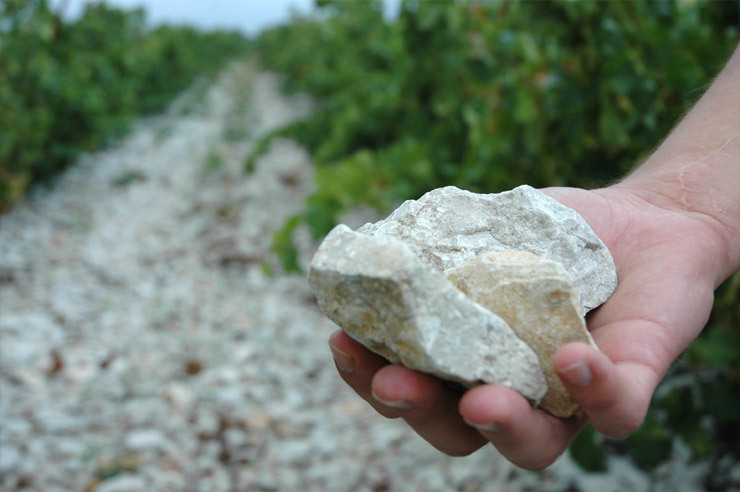 The white-veined red marble from the ‘King’s Quarries’ can be found in the Grand Trianon at Versailles and the Opéra Garnier in Paris, amongst other places. 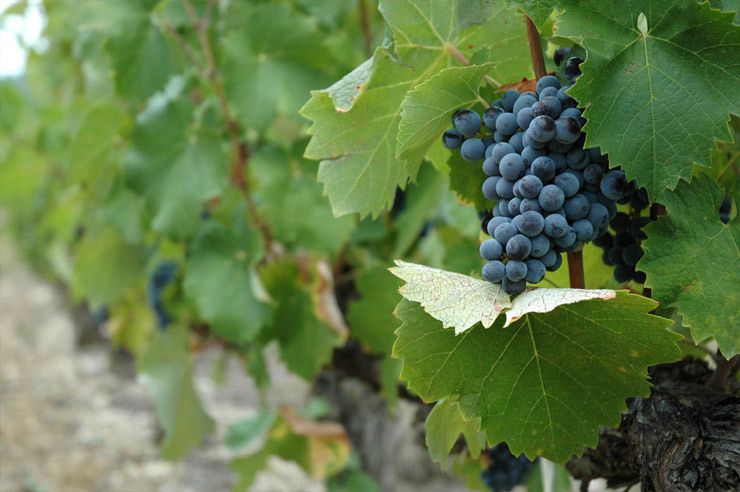 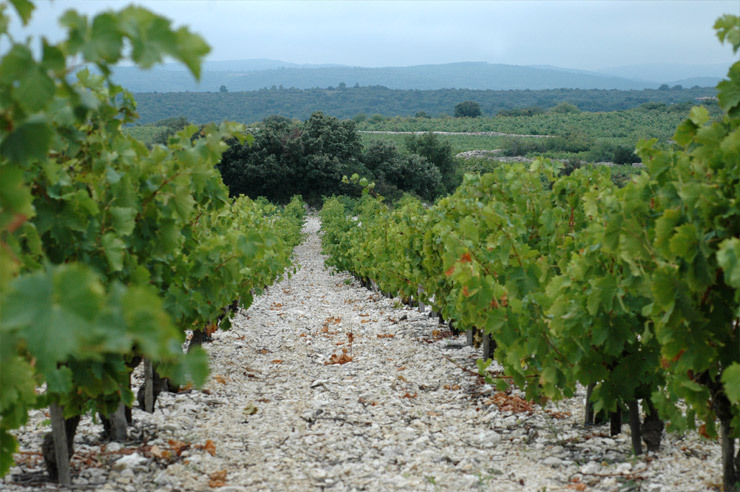 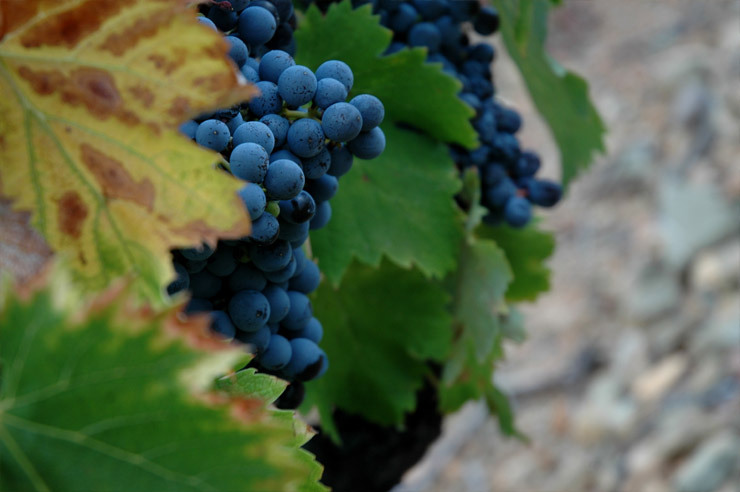 In these, the oldest and the most primary soils of the Minervois, the vine takes numerous years to develop its root system due to the hardness of the rock.